Getting banned for doing good, whats up with that??? How can you get banned for playing good? 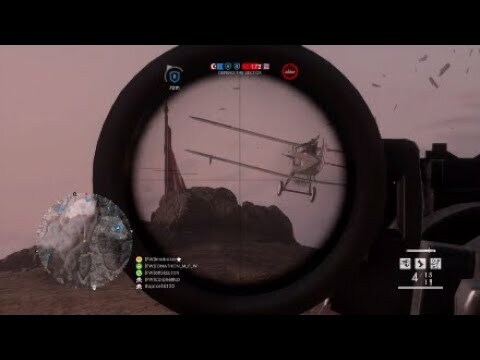 ?, an getting very lucky with a headshot on a bomber pilot an front gunner with the martini henry? I finshed in the top three, before the next round banned wtf!! Was it a collateral, back to back shots or two separate incidents? I’d call two of them fishy, and the third I’d defer to @Imabaka70 as to how likely sniping two pilots in one round is. Badmins will ban you if their feelings get hurt, let alone if you play well. My advice? Don’t take this game as seriously as they do - just find another server. Was that another crybaby badmin or FarFight ban? My personal record in one round is 3 pilots. I know where to aim to hit the pilot. But even know this it isnt a sure fire thing. So many things go into hit them.... ping, are they flying straight, the rifle and distance you are. But as far as getting actually banned for doing so I’ve never heard of this. Unless this is on a custom server and you made someone salty. The caproni ca5 bomber, attack plane which ever, all i know is the crazy sumbitch nose dived at the objective i just aimed an fired, didnt think id kill them both just luck is all, iv played this game since it came out, one of those cry babies that died is acting like a call of duty camping ****, that just lost his 25 kill streak or sumin, i just wann play bf1 an have fun, i was just curious if this has happend to anybody else? I blasted both gunners out of the same bomber with back to back head shots. 1 coming then one going. Enfield silenced. This was he perfect storm. I sweet spotted both of the players in this plane. I actually have tons of videos of me ruining pilots days lol. if you were banned on an official server, FF banned you. If you were banned on a rented server, the admin banned. Apologies for leaving you out and for being a naysayer. Lol. The first question to sort out was if it was a rented or official server. On rented servers you are at the mercy of the renter (ask @MachoFantast1c0 and he will tell you a few 'sunshine' stories about doing good on rented servers...). I doubt FF would ban you for just a lucky shot against a plane. I actually have tons of videos of me ruining pilots days lol. I think you have been banned several times. Someone doesn’t know how the internet works. The Imabaka70 is my pc account. My pc was piece together and could barely play bf1. It’s been having issues and I can’t afford to fully fix it yet. Bad Admins getting salty. Shoulda seen the crap they'd pull back in BF3 and BF4. Stupidest rules like not lock ons or shotguns, heck no air vehicles. Yet they'd be rocking it all and would ban anyone who dared challenge em.